It’s no secret that the number of hours teens spend on electronic devices has some impact on their well-being. What scientists disagree on, however, is just how much. 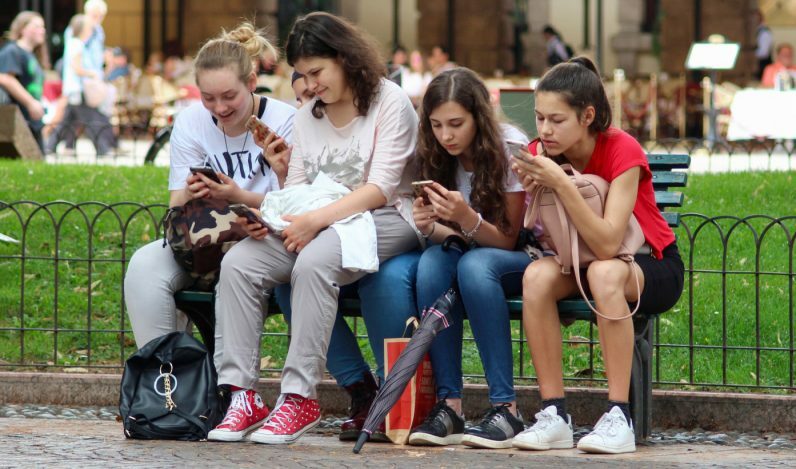 The latest study, published in the Journal of the American Medical Association, has linked Attention Deficit/Hyperactivity Disorder Symptoms to teens who frequently use electronic devices. Out of 2,586 high school students studied over a two-year period, those who consumed multiple types of digital media were about twice as likely to report strong ADHD-like symptoms as their peers. The more they consumed digital media, the more prevalent the symptoms — impulse control, inability to focus, and lack of patience. Researchers, however, stopped well short of saying digital media consumption caused the ADHD symptoms, presenting a sort of chicken and egg problem. Are screens the cause of ADHD-like behavior, or is ADHD leading kids to distracting devices, like smartphones? Students exhibiting significant ADHD symptoms were eliminated from the study in an attempt to answer this question. And while the answer is still unclear, there does appear to be some evidence pointing to screens compounding the effects of ADHD, or causing similar behaviors in those who weren’t previously believed to be affected by it. Of the 2,586 15 and 16 year olds, 495 reported infrequently consuming digital media. This group had a 4.6 percent chance in exhibiting ADHD-like symptoms after the two-year test period. For those that regularly used half of the 14 listed digital media types, the number nearly doubled, to 9.5 percent. Those who used all 14 displayed the highest instances of ADHD-like behavior, at 10.5 percent. The study itself wasn’t without its limitations. Most notably, it relied on self-reported surveys, which, historically speaking, has never been an entirely accurate way to collect data. Some respondents may keep better track of screen usage than their peers, and others may be embarrassed to admit anything perceived as a mental health issue. As for the researchers, they didn’t press to find possible causes of the increased symptoms. Theories range from phone notifications limiting kids’ ability to concentrate, to instant stimulation just a few clicks away, both of which lend themselves to always-on gratification.